Recent news has been dominated by the negotiations of presidents in the ongoing world climate conference in Paris, called “COP21”. The conference aims to reach a binding agreement on measures to be taken by state governments in order to cope with climate change caused by man, as a result of their profligacy in the exploitation of resources and pollution of the planet. According to assessments of activists from climate and environmental movements (who represent different social movements and civil societies from all over the world) the results do not bode well. Activists say they are disappointed, even though these results were expected. Governments of developed countries, especially the industrialized countries such as the United States, Europe, Russia and China, in addition to India and Brazil, are not serious about addressing global warming. Neither pollution caused by fossil energy use nor the depletion of natural resources. This is because real change implies abandoning the concept growth, economic progress and the neoliberal model of the global economy based on increasing production and consumption. Multinational companies with a significant impact on global politics and decision-making, are not about to give up their profits and markets easily, since they promote a trend towards excessive consumption. A solution is not in sight. The global warming and its consequence of rising temperatures, climate change and rising sea water levels pose a great risk to the inhabitants of this planet. Indeed, this picture looks bleak. However, discussions on a binding agreement to reduce heat emission are still ongoing, and it seems that there is a prior intention not to waive the efforts demanded by climate and environmental movements. There is a clear deficit by the United Nations and negligence by states of their responsibilities in heat emission. In Paris, there were in fact two summits, such as an alternative summit of social movements, in addition to the official summit. It was an honor for me and other activists to contribute to the alternative summit. 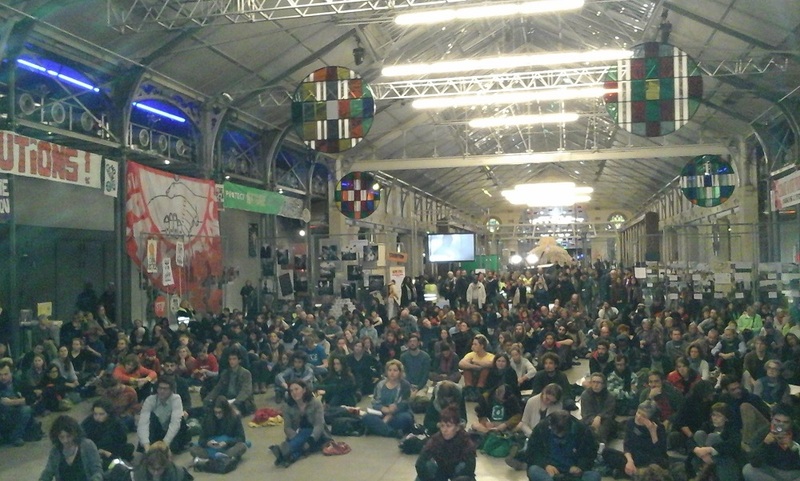 This alternative summit addressed the visions and opinions of social movements on environmental change, and they provided a critique of the solutions presented by governments during the official summit in Paris. This paper represents part of this criticism. 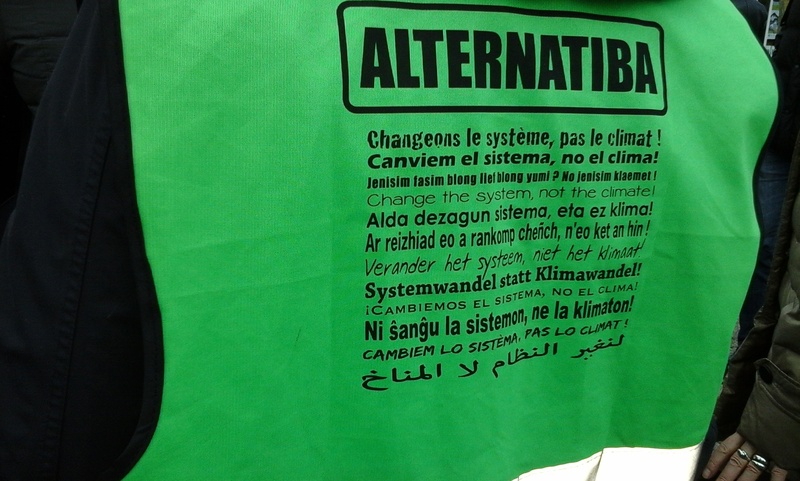 The alternative summit was attended by a large number of activists of social movements from all continents of the world. Dozens of workshops and dialogues were organized. Social movements from countries such as Brazil, Peru and Colombia achieved a distinct presence, with their contributions such as stories about their experiences and struggles against the world’s major multinational companies, especially those operating in industrial extraction of oil, coal and shale gas. These companies ruined the earth and the environment in more than many countries and they still continue, in order to increase their enormous profits. The African contribution was no less important than its counterpart in Latin America. The delegation of Congo, for example, included a number of farmer women who struggle for land and water. They enjoyed the fact that they were able to present their story. I and my colleague from Turkey Ercan Ayboga had the honor of representing the “Save the Tigris River and the Iraqi Marshes Campaign” in Paris, and I was very pleased of the great interest the campaign received there. I met representatives from Tunisia, Palestine, Morocco and Turkey. There were extensive discussions on Ilisu Dam, the largest and the first dam of its kind being constructed on the Tigris River by Turkey, as well as associated other dams. We presented the achievements and the challenges of the campaign. Several times I have been inquired about environment and climate change movements in Iraq. Answering honestly, I told them are still in a big sleep and we do not know when we are going to wake up! A big sleep comparable to a coma, in line with the “Coma of COP 21”. In the north and the south, oil is being extracted by oil companies without responsibility or accountability for the environmental pollution caused by these operations. Obvious examples are the destruction of land, water and human beings, but also the lack of services and corruption. Simultaneously, we are victims of water droughts. The Euphrates River perished because of pollution and water shortages. Our marshlands are drying up and its population is seeking an alternative living. The Tigris River is heading towards the same fate. Dam construction in Turkey and Iran is still continuing, while the protection of Iraqi rivers is neglected by decision-makers and some of those who claim that they are working to protect water in Iraq! Iraqi land and air is polluted by depleted uranium and contaminated waste of plastic. Despite all this, we are unable to form one environmental movement or Iraqi climate movement that could work to create and raise awareness among the general public and mobilize it, and to advocate to change the attitudes of Iraqi politicians. Of course, this deficit has several causes. Some of them are related to the total absence of an Iraqi national project, and the unknown fate we are heading towards due to sectarianism and partisanship. Other reasons are related to absence of coordination between different movements and social organizations. Most of our social movements and organizations did not overcome the obstacles of dispersion yet! Those obstacles appeared during the stage in which those movement born in, after the collapse of the dictatorship and during the era of the US occupation. 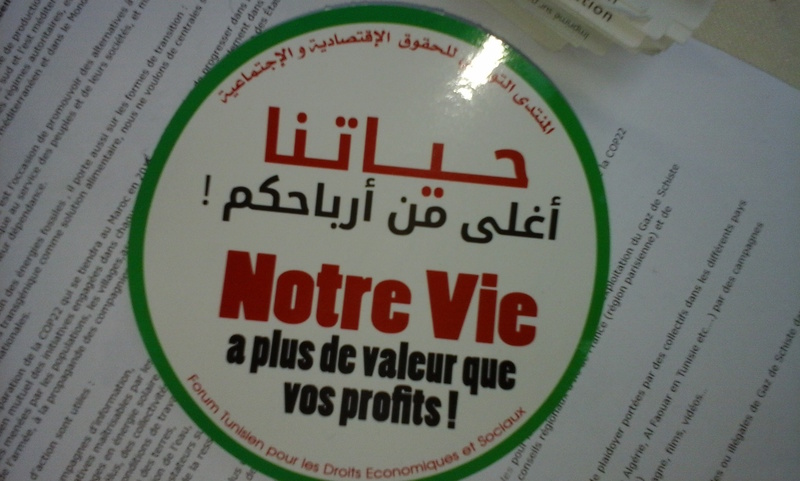 Although there are examples of positive organizations and movements and campaigns, after more than a decade, the achievements are very limited! We are not the only country in the east suffering from the perpetual coma of “COP21”. Although it seemed clear from the contributions of social, environmental and climate movements in Tunisia and Morocco that the Arab Maghreb has seen growth and development that can be described as unique, similar to distinguished movements of Turkey and Turkish Kurdistan. Those movements have discussed plans for future work and for mobilization after the summit. The next summit is to be held in 2016 in Marrakesh, Morocco. While other Arab countries in the Middle East and Iran, have been absent and weak, both in the official and alternative summit, hereby even rivalling the country of Iraq in its perpetual coma.